Another school year has come to an end. Can you hear me shouting with joy? In all seriousness, this has been as stressful school year for us. You’d hear me frustrated over the amount of time devoted to test prep through the virtual school my son attends. You’d hear me frustrated over the amount of times I had to direct a preschooler into what he should and should not be doing. One day last week was a really horrible, horrible day. The kind of day where everything falls apart – people, appliances, computers, electricity. A day where you stand with tears running down your face and you plead with your third grader to “please be so patient with me. I am having a horrible, horrible day.” And then I chose to end the day with laughter and ice cream. That’s how I am choosing to remember the closing of this year. With the laughter and ice cream. Not the tears and frustration and horrible moments. I want to remember a third grader who worked hard to excel at reading. A third grader who repeated times tables. A third grader who drew silly little superheroes on his math worksheets. A third grader who practiced piano so diligently. A third grader who played in his first piano recital. A third grader who auditioned for his first piano guild membership. A third grader who stood up to bat and effortlessly hit double after double after double. A third grader who can swim the butterfly stroke and do a underwater flip when he comes to the end of the lap lane. A third grader who completed “surgery” on “Patient Bob Paper” complete with a doctor’s coat, an Ironman glove and empty 3-D glasses. A third grader who spoke a bit clearer, stood a bit taller and conversed a bit deeper. Dr. Kory and Patient Bob Paper – Anatomy Class at Homeschool Co-op. It was also pj day. I want to remember a preschooler who learned to write his name with an extra line in his E. A preschooler who drew a line under his name “so the letters don’t fall off.” A preschooler who sat in the back of the car and used his fingers to add up to ten. A preschooler who encouraged and lead his preschool co-op classmates. A preschooler who still came to me for snuggles. A preschooler who didn’t want help with puzzles. A preschooler who swam hard in the pool and ran hard on the baseball field. A preschooler who sat through endless piano practices. A preschooler who organized all our iPad icons into groups depending on who used which programs for specific purposes. Yes, it is cute but also very frustrating when I can’t find my App. A preschooler who spoke a bit clearer, stood a bit taller and conversed a bit deeper. And now we will pack away the textbooks and celebrate with laughter and ice cream! 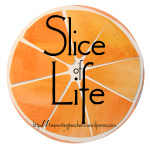 On Tuesdays, I attempt to post in the Slice of Life Challenge hosted by Two Writing Teachers. Click over to their site to find some amazing writing by others who post Slices! Chili and Chilly – What’s your answer? My son, who is in 3rd grade, and I were working on colorful adjectives as part of his school work today. Okay. So I’m not paying the best answer $10,000, but how would you answer his question? Why is chili not chilly? Even though I didn’t think I’d have time, I’m finding myself participating in the Slice of Life March challenge through Two Writing Teachers. Jump over to their site to find inspiring writers and teachers sharing a slice of their day. How do I balance it all? Sometimes I ask that of myself. Today I realized one of the systems I have in place. Not only am I a wife, a (wanna be) athlete, and a freelance writer and editor. I am also a homeschooling mama. We homeschool for many reasons, which I won’t go into today. But today I realized how I can make it all work (successfully). We use an online/virtual charter school as our method of homeschooling. Basically what this means is that my son has a “real” teacher he has to interact with throughout the week. His curriculum is already scheduled without my extra work. His materials are sent every August in boxes. All I have to do is review, prep and teach. And the best part: he has online required classes, which it is really cool to watch him work his way around the computer in his classes – the skills he learns! Today I need to work on a story due later this week. I need to make phone calls. I need to learn about people. I need to prepare to be able to write tonight after my house is silent. And the reason I love the way we homeschool. Today my son interacts with his teacher and his scheduled online classes. Tomorrow he interacts with his teacher and his scheduled online classes. Three hours today. Three hours tomorrow. Three hours for me to focus on what I need to do to be a better me while making him a better him.